Based in the heart of Southern California, Knowing Forever has awakened a local music scene. Knowing Forever is leaving an unforgettable mark within each new city and venue. Setting a band apart from the many is tough but Knowing Forever has done just that. Moving through the musical generations of grunge, alternative rock and new metal, Knowing Forever has created their own mix of hard hitting progressions and melodic vocal melody, that forces itself into memory of every unsuspected listener. 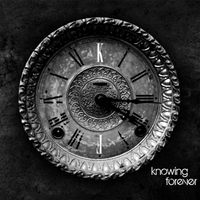 Knowing Forever has created an innovative self-genre for themselves. Without the need to fit into a preset genre Knowing Forever is free to create a sound that is familiar yet dynamic for a new rock movement. After Knowing Forever’s “E.P” release in early 2015, the band quickly started playing at such notable venues, such as: Live Nation owned House of Blues, the world famous Viper Room and the host of their “E.P” release party, The Slidebar Rock and Roll Kitchen. After gaining so much momentum Knowing Forever is now slated to record their second album with a release date in early 2016.